Spend the 25th (Fri) wandering through the wild on a nature and wildlife tour. 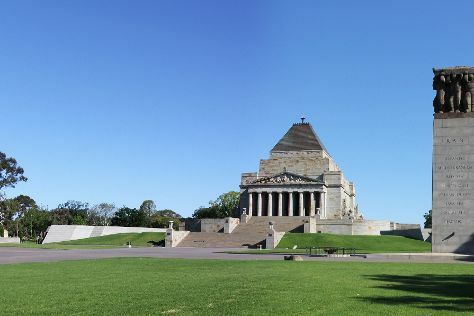 And it doesn't end there: brush up on your military savvy at Shrine of Remembrance, look for all kinds of wild species at Trin Warren Tam-boore, kick back and relax at St. Kilda Beach, and get a new perspective on things with Boat Tours & Water Sports. For other places to visit, ratings, reviews, and other tourist information, go to the Melbourne trip website . Expect a daytime high around 32°C in January, and nighttime lows around 17°C. Finish up your sightseeing early on the 26th (Sat) so you can travel back home.